During the creation of the Citizen Gain SR we referenced and compared choice examples of modern high-gain and vintage modded amplifiers and particularly, the legendary 100w variety. The goal was multi-layered: capture the tones, attitude and punch of the heavyweights, enhance them for modern application and use, and make sure the sweet-spot was wide enough to cover the broadest range of British clean-to-mean tones as possible. 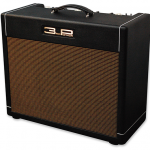 With the new Citizen Gain SR, the range of tones on tap are virtually endless. The Tight toggle switch offers more gain with diode clipping and helps set the overall compression and response of the preamp stage. This is perfect for modern higher-gain music styles that feature more aggressive picking techniques. Three different EQ voices are available via toggle switch including #1 (mid scoop), #2 (mid boost) and #3 (high boost). When you select an EQ voice, you are switching the entire tone stack circuit to create new textures. This has a profound effect on the frequency response of the Bass, Middle and Treble tone contour controls. Jamie observed that many of the legendary guitar recordings feature ambient effects including reverb as an integral component to the sound. 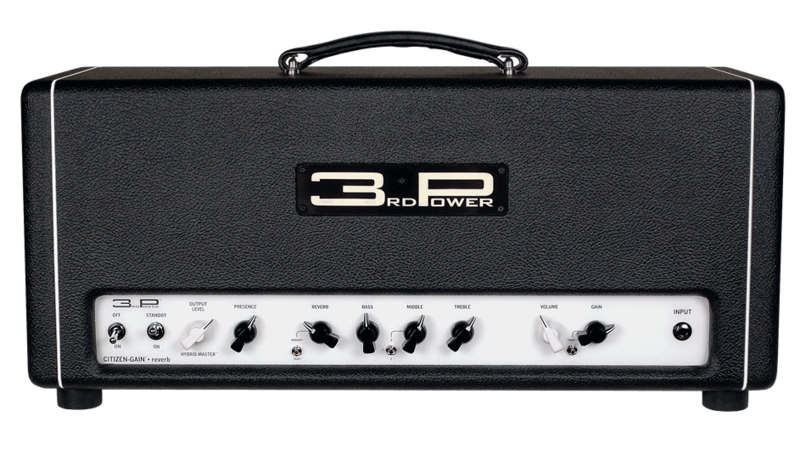 To bring you as close as possible to the tone you hear in your head, Jamie optimized his all tube dual-mode spring reverb circuitry to emulate vintage hall and plate reverb effects so often present on these recordings. "Does it take pedals?" - YES! Here’s what you need to know about the CITIZEN GAIN • SR’s tube buffered series effects loop: you don’t have to change the way you already configure your setup. Run your pedals up front or in the loop – it’s all good! Additionally, the CITIZEN GAIN • SR’s effect loop is somewhat of a Swiss Army Knife for your rig and here’s how it works: After each channel preamplifies your guitar signal, they are combined and sent out of the FX SEND jack at a nominal -10dBV (just under 1V p-p) matching the levels most vintage and modern effect pedals want to see. The FX RETURN path brings your signal back into the amplifier with a tremendous amount of headroom (accepting signals as low as -10dBV and as high as +4dBU before the onset of compression). It can also be a gig-saver too. If your pedal board ever goes down during a performance, you can plug your guitar straight into the FX RETURN jack and get through a song with quality tone. HybridMASTER™ is located on the front panel giving you the confidence to play what you feel when you feel it at exactly the volume you need for the occasion without causing unwanted degredation to your tone and more importantly, a disconnection from the feel of being connected to a vacuum tube amplifier. Our patented HybridMASTER is volume management executed to perfection. Today’s experienced players will be pleased to know that the Presence control on the CITIZEN GAIN SR has been optimized to deliver an effective high frequency enhancement no matter what volume level you’re playing at. This is important when you’re playing at reduced volumes and all you need is a touch of ‘air’ to put your tone over the top. Other Controls & Features: Presence, HybridMASTER™ Level Control for Fine Tuning Output Level, Proprietary Tube Buffered Series FX Loop. Reverb Level Control, Reverb Mode Switch (2 modes). The 40w Citizen Gain SR represents 3rd Power’s take on higher-gain British tones. With custom Mercury Magnetics transformers and internal operating voltages at ~500V, the Citizen Gain SR responds to your touch like a 100w high gain beast yet delivers your tone at practical volume levels thanks to our patented HybridMASTER. 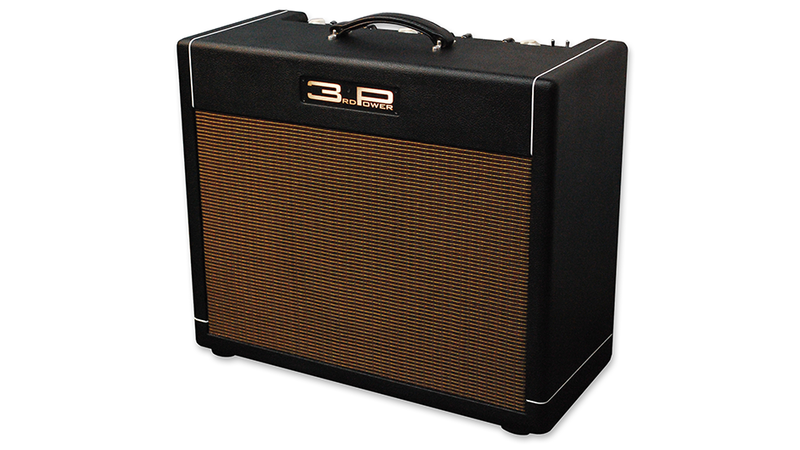 Our dual-mode reverb circuitry and on-board tube buffered FX loop let you polish your sound. You’ll be amazed by CITIZEN GAIN SR’s crisp performance with outstanding precision, beauty and rugged construction. Today’s experienced players will be pleased to know that the Presence control on the CITIZEN GAIN • SR has been optimized to deliver an effective high frequency enhancement no matter what volume level you’re playing at. This is important when you’re playing at reduced volumes and all you need is a touch of ‘air’ to put your tone over the top.